Ants have become such a commonly sighted insect that it is believed to fill every part of the earth except places like the Antarctica as well as remote islands. It is said that there are more than 20,000 species of ants. They are easily distinguished by two characteristics: a distinctive node-like structure that forms a narrow "waist" called a pedicel as well an elbowed antenna. 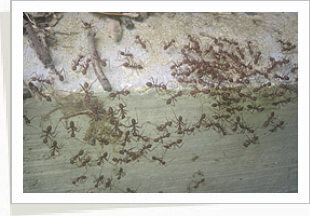 Ants are social insects and live in large groups called a colony. 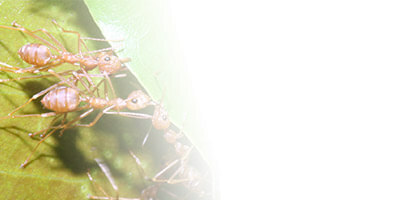 Ants form colonies which comprises of queens, males, workers, reproductive and non-reproductive castes. Each one is given different tasks. The queen mates and reproduces, while the worker ants will be in charge of fending for the queen as well as defending the colony. Queen ants can live up to 30 years, workers 1 to 30 years, but the males only live for a few weeks. Different ants can cause different kinds of damage. Fire ants and others may sting and bite humans and animals. Pharaoh ants attack wounds and dressings in the hospitals. Carpenter ants tunnel into structural wood, house infesting ants become pests in the homes of humans. Ants usually attack foods of humans, especially those laced with sugary substances. They also attack food spills and garbage. Sometimes, they attack other insects or dead ones. They are common household pest problems that many face. Eradication and prevention of ants can be done by cleaning up the area and ensure proper sanitation is practised. 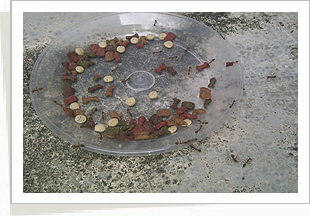 If there is no or minimal presence of food , water and shelter for the ants to populate, infestation can be avoided. Ants can lift 20 times their body weight. The average life expectancy of an ant is 45 to 60 days. To know more about these services, please contact to our professional team.